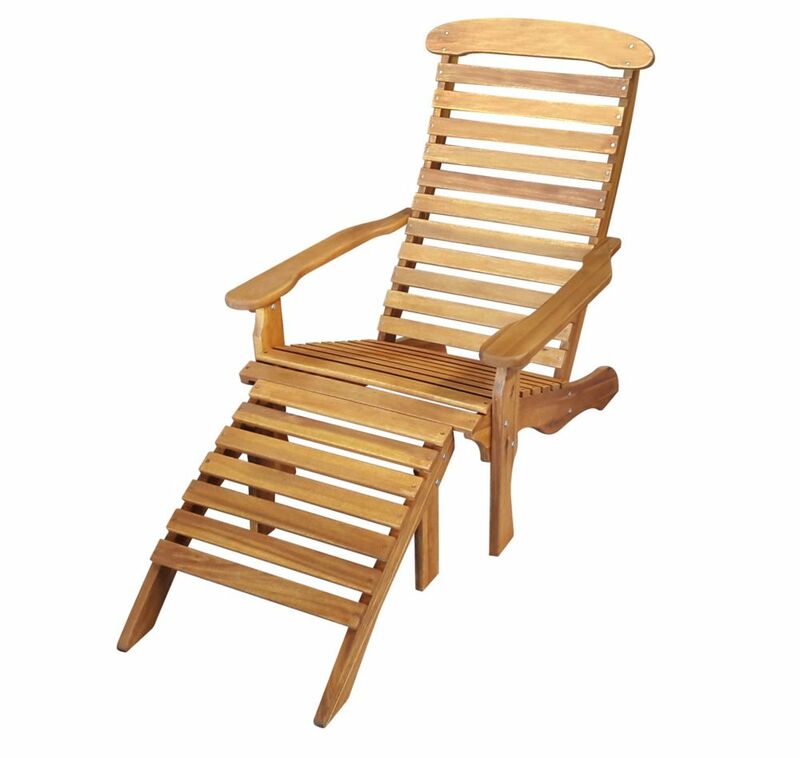 The SOLITAIRE Nova Deck chair and footrest is a beautiful addition to your backyard. Measuring 62 inch length x 25 inch width x 37 inch height the Nova Deck Lounge chair has a fixed chair and an ergonomic foot rest. Assembles quickly in minutes. Enjoy the warmth and beauty of solid Acacia hardwood outdoor furniture that you can enjoy year round. Made with acacia wood with water-resistant properties that makes it suitable for outdoor use in Canada. The Highland Collection Lounge Chair features a gracefully curved back and flared arms that create a unique surface for the herringbone weave pattern. The piece consists of fully woven panels made from weather-resistant resin that covers a fully welded, powder-coated aluminum frame, making this chair perfect for indoor and outdoor use. And the warm colour palette creates a fresh and modern aesthetic. Novo 2 Pc Deck Chair The SOLITAIRE Nova Deck chair and footrest is a beautiful addition to your backyard. Measuring 62 inch length x 25 inch width x 37 inch height the Nova Deck Lounge chair has a fixed chair and an ergonomic foot rest. Assembles quickly in minutes. Enjoy the warmth and beauty of solid Acacia hardwood outdoor furniture that you can enjoy year round. Made with acacia wood with water-resistant properties that makes it suitable for outdoor use in Canada.